We are there to support you on a daily basis. No matter if you want to have a bouncy ponytail or a nice up-do, our everyday range will offer you the right tool. Whether our ORIGINAL or more specialised versions like KIDS and SLIM. We want to support you in your active lifestyle. Our Sport category has strategically developed products which have been designed to meet your extensive requirements during your workout. Including our new 2-in-1 MULTIBAND and our strong grip POWER! 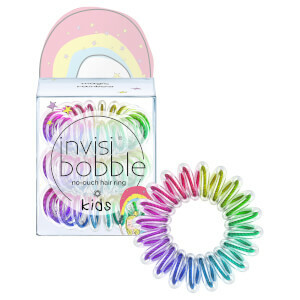 Our aim is to always offer you innovative hair accessories. Whether that's easy-to-use products to create that professional wow-effect with nearly no effort, or trend products to make sure your hair is in style this season. The idea started to blossom during Sophie’s first year at university. She often got headaches from wearing a normal hair tie and had the annoying kink in her hair that we all know so well. One night, while Sophie was getting ready for a 'bad taste' party, she set her eye on the old, broken telephone hanging from her dorm wall. Sophie decided to unplug the phone cord and use it to tie up her hair as an extra highlight for her already quite spectacular look. The next morning Sophie woke up after a night full of fun realising that something was different. Then it dawned on her: she didn’t have a headache! 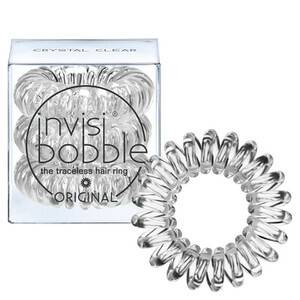 After untying the cord, she also realised that the mark in her hair was a lot less strong than usual.The idea of invisibobble® had been born! 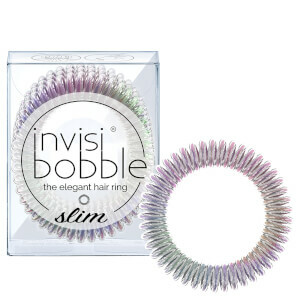 Ever since the brand's launch in 2012, the demand of the revolutionary spiral-shaped hair tie has exploded. 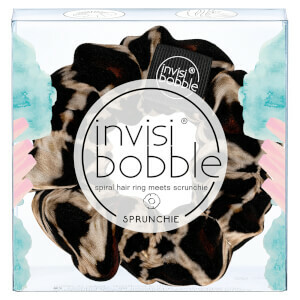 Five years later, invisibobble® is expanding into an all encompassing hair accessories category to solve your everyday hair challenges.